Sep 8th, "The BAZAAR Charity Night" was held in Beijing World Hotel. Hundreds of stars shown up on the red carpet: Zhang Yi Ji, Zhou Xun, Li Bing Bing, Fan Bing Bing, Huang Xiao Ming...Seeing their costumes, people could find black was the main colour. Zhou Xun looked beautiful in a black-white dress and large necklace. 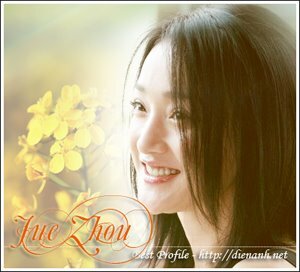 In the ceremony, Xun and nine other stars was awarded the top 10 charity awards. When together standing on the stage, four of them, Xiao Xun, Zhang Ziyi, Li Bing Bing and Zhao Wei looked like intimate friends, often talked to one another while Fan Bing Bing expressed lonely when standing between two actors. A charity gala with an all-star cast was held in Beijing on Saturday night, to raise funds for orphan projects run by the China Charity Federation. The proceeds will be directly used nationwide for the building of computer classrooms in welfare homes, enabling them to have access to the internet. The charity auction on the night lasted for 3 hours and collected around 7.54 million yuan, about one million US dollars. Launched by "Bazaar Magazine", one of China's most widely circulated avant-garde vogue publications, the fundraising gala gathered together nearly 350 well-known Chinese movie and sport stars, TV hosts, entrepreneurs and other social elites at the China World Hotel. Donations auctioned at the gala mainly included clothing, accessories and art works from the world's leading brands like Gucci, Dior and Louis Vuitton, as well as influential artists and designers. The top bid of the night went to a large-scale oil painting donated by well-known artist Zeng Hao. It was bought by Yu Dong, the General manager of Beijing Polybona Film Distribution Company, for 2.88 million yuan. At the gala, the top 10 charity awards were awarded to TV host Yang Lan, actresses Zhang Ziyi, Zhou Xun, Zhao Wei, Li Bingbing and Fan Bingbing, along with the actors Chen Kun, Huang Xiaoming, Wu Ruofu and Li Yapeng. Yang Lan in particular has been playing a big part in charitable deeds. She and her husband founded the Sun Culture Foundation in Hong Kong last year, holding a successful charity ball to raise funds for the Shanghai Special Olympics Committee.